Open Thread: What was your Beer of the Year? So after working through every beer we tried in 2011, we made our choice. There were plenty of great options in 2011, with new breweries popping up left and right, as well as new, old, rare, and common selections filling liquor store shelves throughout Indiana. You may have filled out our survey, but we didn't break it down to a beer-by-beer level. So now we'd like to hear from you. What was your favorite beer in 2011? Leave a comment, and have a happy New Year. On January 6th, First Friday in Fountain Square, we will be tapping our Winter Warmer. A perfect beer for the time of year. A dark ale with caramel notes along with a touch of nutmeg and a hint of raspberry. Deep ruby in color with a tan head, at 6.5% ABV this brew is sure to melt your snowballs. Thr3e Wise Men will be bringing in the New Year with a New Year’s Eve Tapping Party!! We will be tapping our King Solomon’s Imperial Stout at 10pm on December 31st! Stop by and enjoy a beer toast to bring in the New Year!! This weekend Trion still has Muletide Raspberry Bourbon Stout on tap. 8oz pours only. Wed 1/4 5pm we are tapping our Sin Bin Belgian Pale Ale which is the official craft beer of the Indiana Ice. It is a 6.2% beauty that will only be available in the Triton tasting room and at Pepsi Coliseum. 20 BELL'S BREWERY TAPS AND A CASK. Also, we will be open for New Year's Eve, until 3 a.m.
Scotty’s Brewhouse 96th street Indianapolis now has Widmer Brothers Black IPA on tap! Come join us on a Wednesday evening and get this fantastic brew for only $9 for a 48oz pitcher! Scotty’s Brewhouse Muncie is now carrying Founder’s Breakfast Stout! Come enjoy this great Stout for only $3.50 a pint on Thursday nights! Every December since 2008, we have looked back at all the beers reviewed during our roundtables over the past year so we can pick our favorites. In some cases, not all the Knights attended a roundtable. So admittedly, our ranking method is far from scientific. This year's field was made up of 37 competitors from seven states and four countries. The vast majority of the candidates were from Indiana - this is Hoosier Beer Geek, after all - but we feel confident that the beers receiving votes this year are as good as any beers you'll find anywhere. Because our method isn't scientific, it's possible that we may have decided that we like a beer more or less since the roundtable in which we reviewed the beer happened. 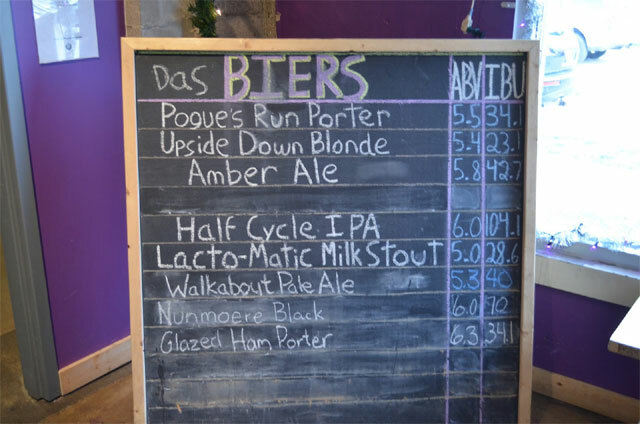 In any case, looking back, we've decided that the beers listed below left us with the fondest of memories. "This single-hop (Citra) pale ale has the classic attributes of a Three Floyds pale ale: aggressive pineapple, mango, and grapefruit notes. It's also backed with a nice, somewhat caramel-like maltiness. . . . [I]f Zombie Dust tastes like this when I have it in the future, it will officially become my favorite Three Floyds beer. The best of the bunch." "The orange-pineapple nose was bright and very enticing. The similar flavor gives a sweet, sticky kiss on the lips rather than a punch in the mouth, but don’t tell Floyds that. They have a punch-in-the-mouth image to uphold. Not only would I order this without question, I would go out of my way to find it." This is the first year that we picked a Three Floyds beer as our beer of the year, but it was only a matter of time before that occurred. Perhaps it's appropriate that Three Floyds won beer of the year honors from us on the year of their 15th anniversary. Our congratulations go out to the Three Floyds crew! We ranked our top five beers with the option of listing beers under "honorable mention." We awarded 3 points to a first place vote, 2 points for a second, 1 for a third, 0.5 for a fourth, 0.25 for a fifth, and 0.1 for an honorable mention. 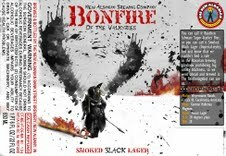 As you'll see, Three Floyds is well-represented in the rankings; the brewery also won second place for Three Kings Pale Ale, a beer it brewed in collaboration with Sun King. And in addition to local brewery Sun King, locals Brugge, Flat 12, Ram, and Upland are represented in our rankings. I had a lot of great beers this year. Some of them were consumed but not reviewed, which is a shame. Beers like Goose Island Bourbon County Brand Rare, which I often crave. Or beers like Brugge Diamond Kings of Heaven (the world is coming to an end folks when I start enjoying sours). But there was only one reviewed beer that I could remember off of the top of my head without looking at a list. And I find myself craving it. My number 1 beer of the year is Ram's Anaheim IPA. Honorable mention: Upland Bourbon Barrel Ard Ri, Paulaner Salvator, Flat 12 Pogue's Run Porter, Three Floyds Zombie Dust. I'll do an honorable mention for Flat 12 Tangerine Porter, which I thought was amazing but we didn't review this year. The Master List of 2011 Rankings. Here's our list of all beers that received votes, ranked in order of points received. 19. (tie) Brugge Black (2011), Flat 12 Tangerine Porter (not reviewed), Paulaner Salvator Doppelbock, Trinity Double Rainbow Saison, Upland Bourbon Barrel Ard Ri. There are very few sports in which a person who loves fitness as much as they love beer can participate. Beer league softball certainly puts a focus on beer - it's in the name, after all - but ever the most dedicated beer leaguer would have a hard time making an argument that playing the game does much to help keep competitors fit. I attempted to be fit once, and bicycling was my method. Before Hoosier Beer Geek, I filled my summer evenings with lonely bike rides all over the south side of Indianapolis, getting to know the areas around the city I hardly knew. The art of getting lost was great motivation, and kept things interesting. But as the roads grew more familiar, I lost something in that love of cycling. My motivation for miles was replaced with beer, and the fitness went away, a pound at a time. I found myself at 30 pounds past my best weight, and looking for a way to rekindle my cycling romance. 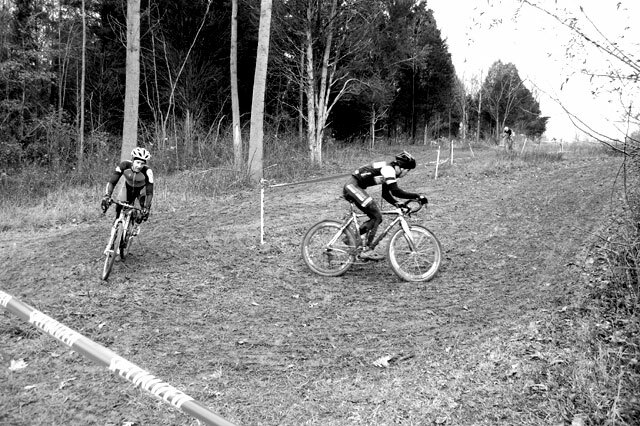 And then I learned about cyclocross. 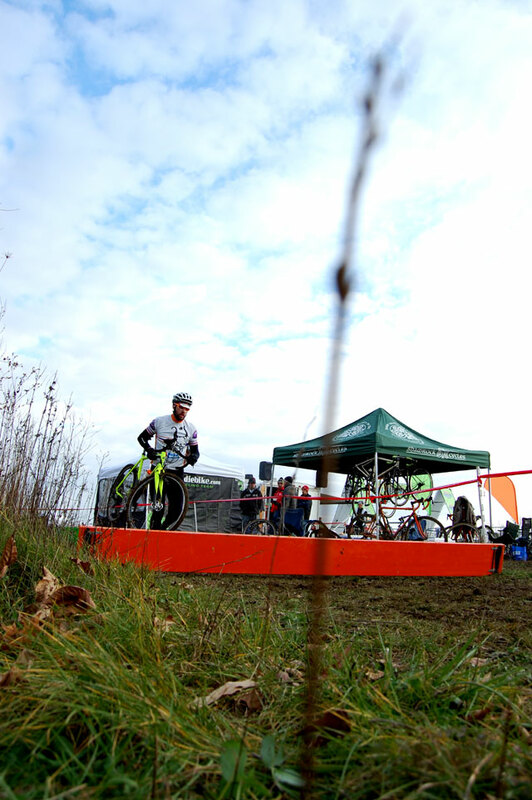 Cyclocross is a different kind of bicycle racing, combining road racing-like bicycles with courses that combine roads, grass, trails, hills, and obstacles. 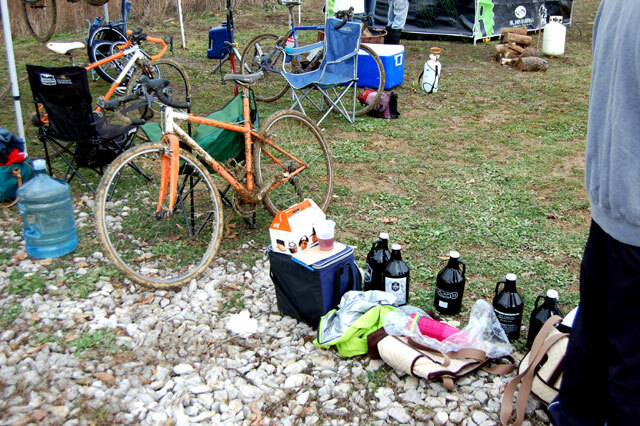 But more importantly, cross looked extremely fun, and included beer. You may have noticed that beer wasn't mentioned in the wikipedia article. But I had seen pictures, and read stories. With that in mind, I bought an expensive bicycle, and promptly started not riding it very much. 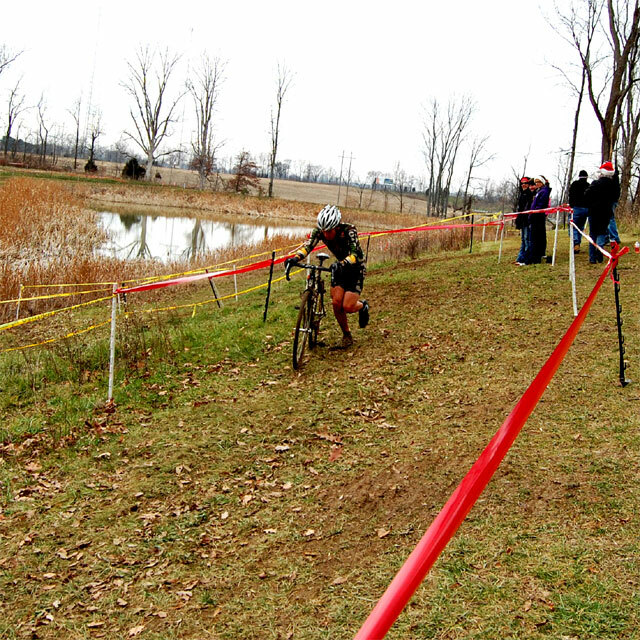 But the idea of cyclocross was still in my head, and as the season kicked into gear, I started tweeting about it. 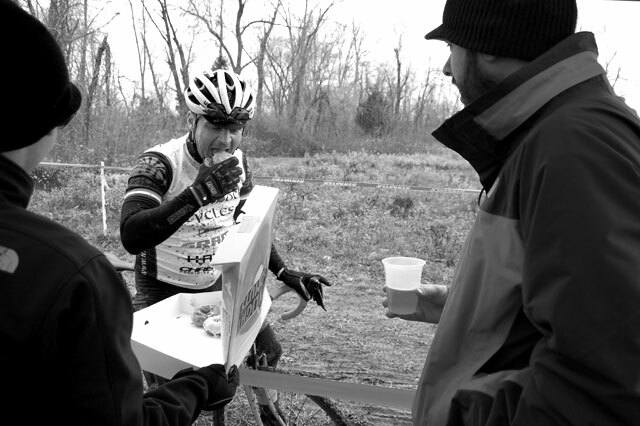 It wasn't long until some local cyclocross racers caught on to my tweets, and called my bluff. Would I like to do a little practice? I guess I would. That I crashed on my first go around might have been a sign, but after that initial practice I felt pretty good about it - nervous and clueless, but I figured at worst I'd finish last, comfortable and happy that I'd made it through my first race. About a month later I had finally registered for that race, with no fitness base apart from evening on an elliptical machine at my gym. I hadn't been on a bicycle since that previous month's practice, and my seat time prior to that outing consisted of random 23 mile round trips to and from work. I was unprepared, but not worried. I was just going to enjoy myself, and then enjoy the beer rewards afterwards - a perfect introduction to the answer to all my fitness and beer related problems. On race day I woke up early. Multiple times. I had drank the night before (it was a weekend, after all), but I'd kept everything in check. I had bowl of cereal despite the fact that I don't normally eat breakfast. My stomach was unhappy, a combination of nerves and Captain Crunch. I sat on the couch and waited. I got impatient and headed to the race. 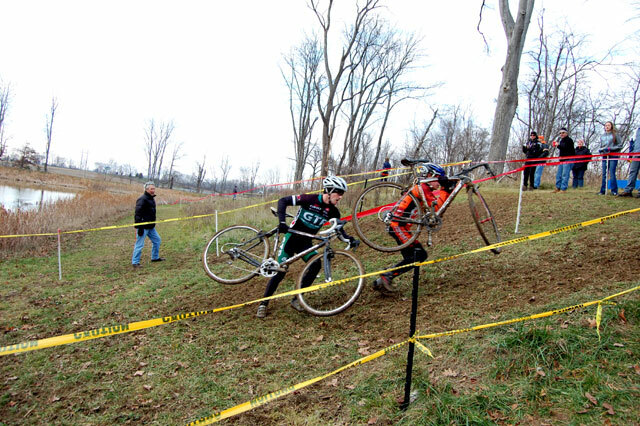 In bike racing there are multiple categories, sort of like JV and varsity, but with even more classes. My race would be the last of the day, with the largest field, and the slowest competitors. I had time to kill. I was three hours early and had already pinned on my number. I started to warm up. I checked out the course between the other races. The course was fairly flat. Muddy. That should be fun. I was surprised at how much just warming up wore me out, but I put it down to nerves. I had no illusions of finishing anywhere but last - I had even told friends that last was exactly where I expected to finish - so there was no pressure. 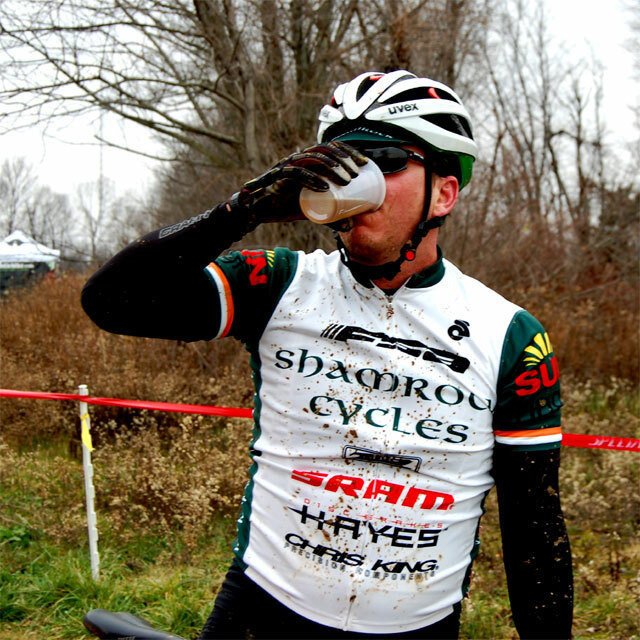 While it may not look like it, this beer was consumed in-race. Because I had registered early, I started ahead of a few folks. It didn't take long for me to fall through to the back, but I was OK with that. My first race was to be a learning experience. I was measuring my effort. 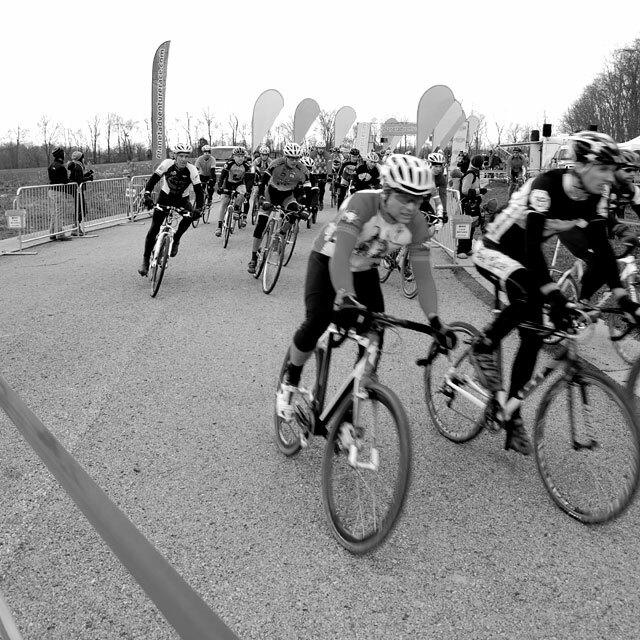 The first lap was harder than I had expected, but there were still a few people behind me. But as the race went on, I just got passed. And passed. I passed no one. I couldn't put up a fight, as I could barely breath. There was nowhere to hide, and nowhere to recover. While the course was flat, the fact that it was muddy everywhere meant there was nowhere where any form of coasting was an option. And since I was barely moving to begin with, anything less that a full effort meant I would have been completely stopped. My lap times were remarkably. Remarkable in that I was down 3 minutes to the leader in that first trip around. Remarkable in that I was dropping about 30 seconds per lap. I had certainly found my groove, and it was slow. But there was redemption. I did accept two beer hand-ups. 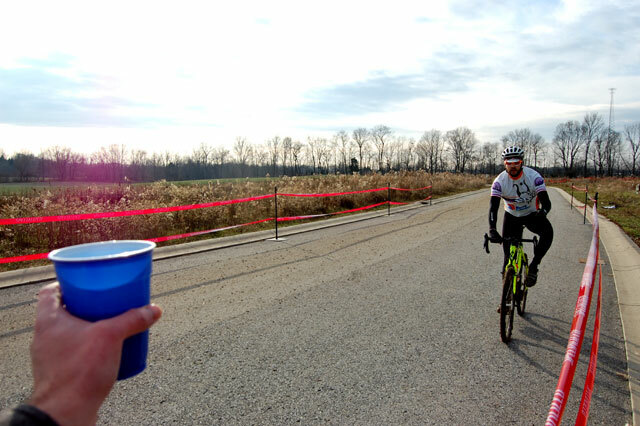 The beer hand-up might be my favorite part of cyclocross. While riding the course it's not unusual to be heckled by spectators. "Welcome to the race! Unfortunately it passed here five minutes ago!" "Your plan to solo off the back is working brilliantly!" But those same spectators are usually accompanied by friends holding beer. Beer they want you to drink while you're racing. Beer isn't the only hand-up. Sometimes it's cash. Sometimes it's bacon. Sometimes it's babies. Ok, it's never babies, but who'd want a baby anyway. I finished a lap down. Second-to-last in class, and considering that the other guy's bike broke, that put me way down the list. Of hundreds of competitors, I was very close to the worst. (I did finish ahead of some guys in the 45+ age group.) By the race's end, I thought I might actually die. It was really, really hard. In the week that followed my thoughts on cross ranged from "that's crazy" to "that wasn't so bad" to "I should do that again soon." I didn't participate the following week, instead visiting the race to drink and take photos. While it wasn't the same kind of rewarding, there was still a sense of happiness around the thing, as I'd found a reasonable excuse to get a little drunk on a Saturday afternoon. 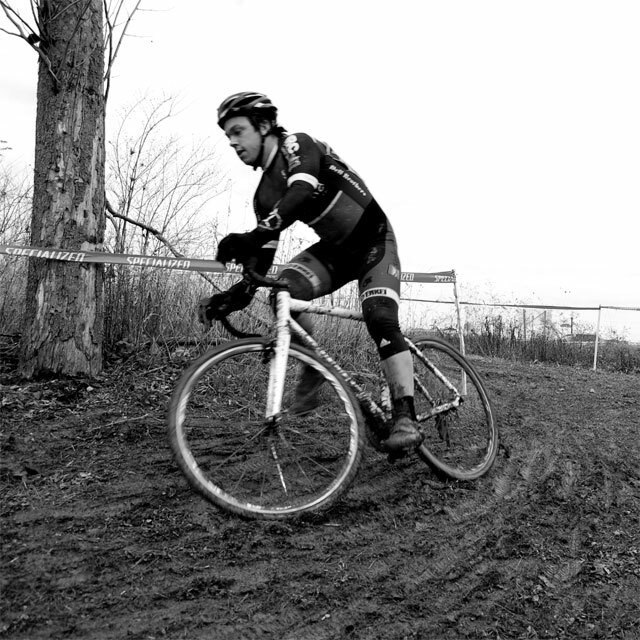 What I'm saying is that I'm not advising that you go out and try cyclocross. It's not for everyone. I'm pretty sure it's not for me. 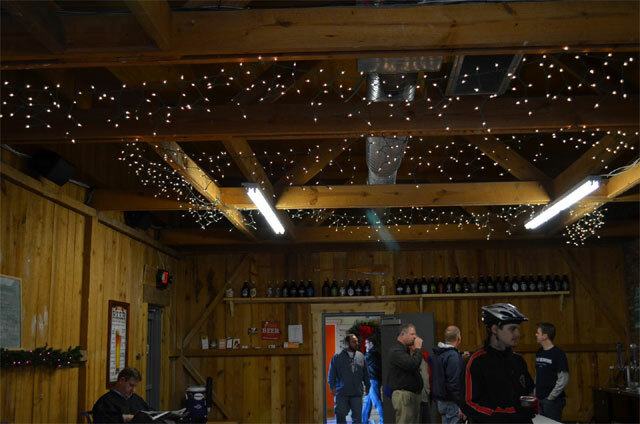 But what I am saying is that if you're into honest efforts, beer, heckling, and the outdoors, then cyclocross is worth checking out. Grab (or bring) a beer. Wander around the course. And maybe the next time you'll find yourself out there, wondering how the hell it all happened. 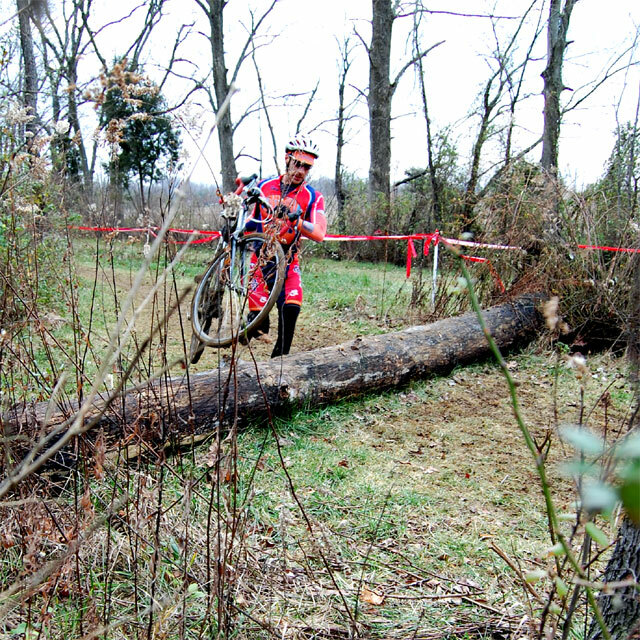 The final cyclocross race of the 2011 season takes place on Saturday, December 31st, at Trader's Point. 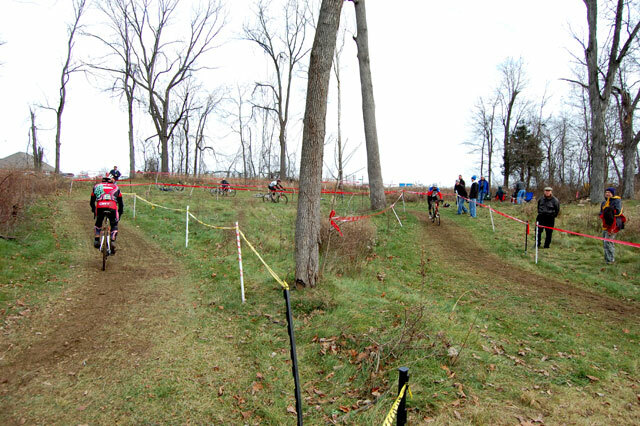 The race will also be accompanied by a mountain bike race, if you're into that sort of thing. More info here. It's a little late this year, but we're still interested in your thoughts on the previous YEAR IN BEER. Take a few minutes to fill out our survey so that we can present some interesting and fun statistics on the preferences of you, our readers. Our readers are the most important demographic of the market and are also the only opinions we care about. Hey readers, fans, stalkers and enemies - the 2012 Winterfest is coming up next month and we have some extra volunteer positions to fill. This year the Brewers of Indiana Guild has hired an Executive Director to organize the festivals, but we're still in charge of managing the day-of festivities which means we need some hard working volunteers! If you have friends who have volunteered before, they can probably tell you what a great time it is. We do require that all volunteers work the entire festival. We also allow all our volunteers to take breaks and enjoy the festival, as long as they don't get drunk. Winterfest is on January 28 this year. In case you weren't keeping track, that is the weekend before the Super Bowl. Please make sure that you are available that weekend before you sign up and that you don't have potential conflicting plans. This thing also sold out early in 2011, so if you're planning on going, don't wait until the last minute to buy tickets! Feel free to share that on Twitter or Facebook or take a picture of it with Instagram of whatever people are doing now. I'm anticipating that we will turn off volunteer signup on January 2, but realistically as soon as we have enough volunteers we'll turn the form off. Volunteering is on a first come, first serve basis. We'll be answering any questions you have in the comments. Many people are discovering the pleasure that sour ales have to offer drinkers. I am not entirely comfortable with the term "sour" or "sour style ales," but that is the best we've got for the time being. I will only say that the mark of beers that fall under "sour categories" doesn't mean that more sour = better quality. That couldn't be further from the truth, and I fear that the path we are heading down makes it seem that way. The race for mouth puckering sourness is heating up with each new American brewery that begins producing these beers. I think that does a great injustice to beers that fall into this category of beers that include: Berliner Weiss, Oud Bruin, lambic, Flanders Red, and fruited lambics. Gueuze is a fantastic style of beer that falls into this category, and gueuze's are extremely labor intensive and require much patience. These spontaneously fermented beers are a blend of young and old lambic. That is important to understand. Lambic is the base beer for gueuze. This can range from as young as four months to as old as three years and just about anything in between. A master blender is then charged with knowing when and how to blend these ageing casks of lambic. These can then range from anywhere to 15% young-to-old to 70% young-t0-old. Once the casks and blending amounts have been chosen the bottles are then are aged horizontally for at least year (or longer) where they undergo a secondary fermentation in the bottle. The residual sugars left in the young beer will continue to ferment out of the blend and create the champagne-like effervescent quality of gueuze. Then, finally, the beer is shipped to thirsty consumers worldwide. That is a tremendous amount of work for a beer isn't it? Several brewers in Belgium are brewing this beer on their own and going through the entire process from brewing, blending, ageing, and distribution. A very small number of places actually purchase lambic from other brewers and then age, blend, package, and distribute from that point. I can't imagine that business ever taking off in America, but I find it very interesting that that type of business exists in Belgium. These beers should be served slightly chilled to get the most appreciation for the many nuances of the beer in nose and taste. Eyes: Gueuze will usually be a golden color with a medium to large white head that will last most of the beer. Nose: The mark of a great gueuze will be balance. The tart and acidic scents should be balanced with scents of orchard and citrus fruits. Some gueuze's will have more wood flavors based on aging as well. Taste: Balance is again key for the mark of a great gueuze. The flavor profile should have that barnyard/acidic funk right beside the apple, melon, lemon, and grapefruit flavors that can be tasted in many beers in this style. Overall: Gueuze's are not for everyone, but the beauty is in the details for these beers. A true work of art and craftsmanship in your glass. The price point for these beers is actually pretty low when you think about how much time and effort when into these beers, and a small bottle of these types of beer are worth a chance at least once. 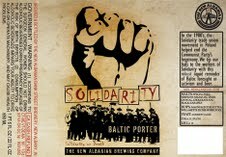 Solidarity Baltic Porter bombers are going out this week, with Bonfire of the Valkyries to follow in a couple of weeks. Happy Holidays and Season's Greetings to all of you from the RAM Brew Team! We are looking forward to 2012, and all of the great brews that it will bring our way. The Pub in Mishawaka (Granger) now has on tap five beers from Sun King (Sunlight, Wee Mac, Bitter Druid, Osiris and Cowbell Milk Porter) and will be adding Greenbush Brewing's Anger IPA and Dunegras IPA on tap this Friday. Also on tap Flat 12 Half-Cycle IPA and Three Floyds Gumball Head. Scotty’s Brewhouse West Lafayette is celebrating the season with People’s Ardelle Christmas Ale! Come in on a Wednesday night and get this very amazing seasonal for $9 for a 48oz pitcher! Scotty’s Brewhouse 96th Street Indianapolis has just tapped Sam Adams Cherry Chocolate Bock! We will only have this for a very limited time so get it while you can. Stop by on a Thursday night and get a pint for only $3.50! Scotty’s Burger Joint in Columbus has just brought on People’s Procrastinator Hellesbock! Come get a 24oz mug filled up on a Thursday night for $4.00!! If you are doing some last minute shopping on Christmas Eve then you should stop by and enjoy a Christmas Eve Beer at one of our locations! Scotty’s Brewhouse 96th street is open till 10pm. All other Scotty’s Brewhouse locations, Scotty’s Lakehouse, Scotty’s Burger Joint & Thr3e Wise Men Brewing company open till 8pm! Use our Interactive Daily Tap List to check out the rest of the 58 beers we have on tap. We have been very keen to let a place get up and running before rendering judgment about a new bar, brewery, or restaurant around town. Flat 12 will be approaching its one year anniversary this month, and I think they have come into their own in that time frame. Flat 12 makes six house beers and what seems to be an unlimited amount of variations on those beers. They also brew a huge handful of seasonal beers to go along with those house beers and house variations. Brewers Rob and Josh seem to be able to come up with something new and interesting for any occasion. This was just showcased with their 12 Beers of Christmas, which showcased twelve different holiday-themed beers with holiday ingredients. Flat 12 up to this point has been on-premises sales only. Their tap room is available for pints, growlers, and kegs. They have their beer all over Indiana as well. 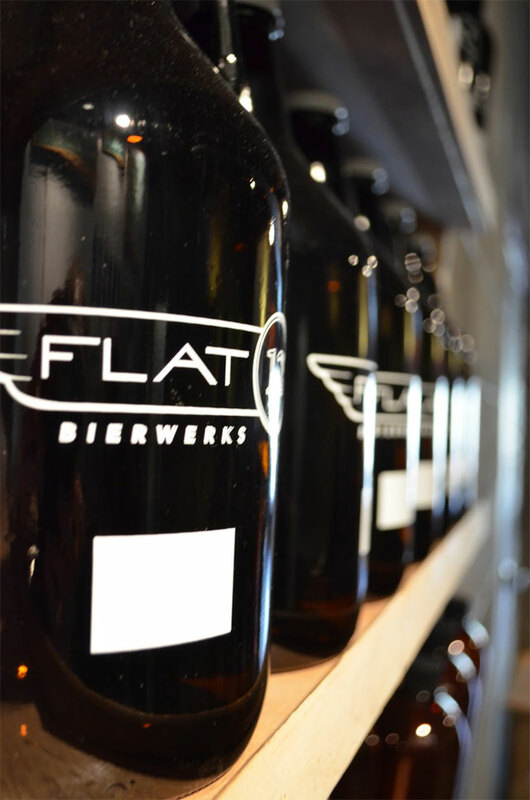 If you follow them on twitter (@flat12bierwerks), there has been some chatter about a bottling line coming in soon as well. 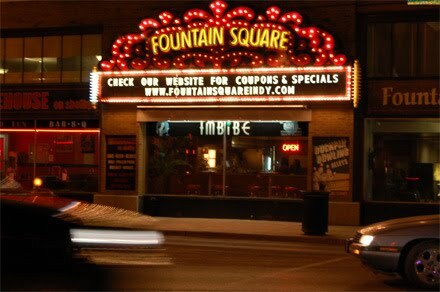 When it comes to Indianapolis neighborhoods, Fountain Square is one of our favorite drinking destinations. Not only did the neighborhood initially serve as our home base, it also has much to offer visitors. If you're looking for good food, great local shopping, thought-provoking art, or cutting edge live music, Fountain Square has all of these things. And with the Fountain Square branch of the Cultural Trail finally complete, the neighborhood is poised to leap to the top of the list of must-visit Indianapolis destinations. Whether you're unfamiliar with Fountain Square or looking to explore the neighborhood's newest watering holes, here's our list of Fountain Square establishments to check out, especially if you want to enjoy a good pint or two (or three, etc.). Maybe you're a native of the Big Easy yearning for a taste of your hometown or someone who simply appreciates great New Orleans cuisine. Regardless, B's Po Boy should be on your list of dining establishments to visit regularly. Aside from the namesake sandwiches, B's also serves up gumbo, beignets, and a rotating list of craft beer. And if you're itching to take on other bocce enthusiasts, you'll want to visit B's, which sports two bocce courts. Since Bluebeard appeared on the Indy dining scene in the summer of 2012 with its Italian-influenced cuisine and artisanal breads, patrons have been clamoring to get a table at the restaurant. So yes, the food is fantastic. Fortunately, Bluebeard's proprietors also understand that a great dining experience is supplemented by a well-curated craft beer selection. 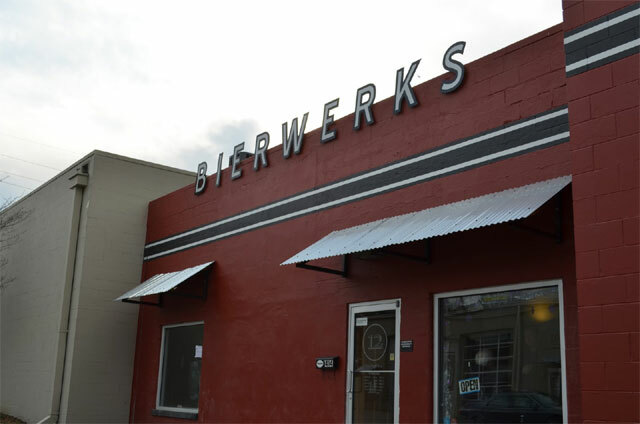 Bluebeard's tap list is usually dominated by beers brewed right here in the Hoosier State. This swing-era bar offers small plates, classic cocktails, and several craft beer selections on tap. The Brass Ring is favorite hangout with the neighborhood locals. The retractable front walls and the open air patio make the Brass Ring a great place to drink at in the summer. 21+ only. Located in the Fountain Square Theatre Building, The End of the Line Public House has 10 taps, mostly local, along with a diverse selection of appetizers, salads, sandwiches, and pizzas. The menu also has a good selection of vegetarian dishes. Open for breakfast on Saturdays and brunch on Sundays. Named for the Fountain Square terminus of Indy's long-defunct streetcar line. 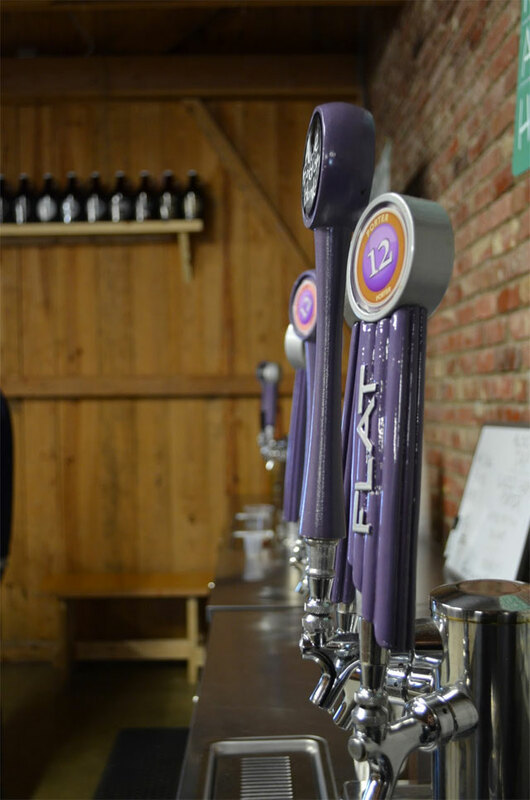 One of Indianapolis' newer breweries, Fountain Square Brewing Company has a strong stable of flagship beers, including a pale, an amber, a porter, and one of the best Pilsners in Indiana. 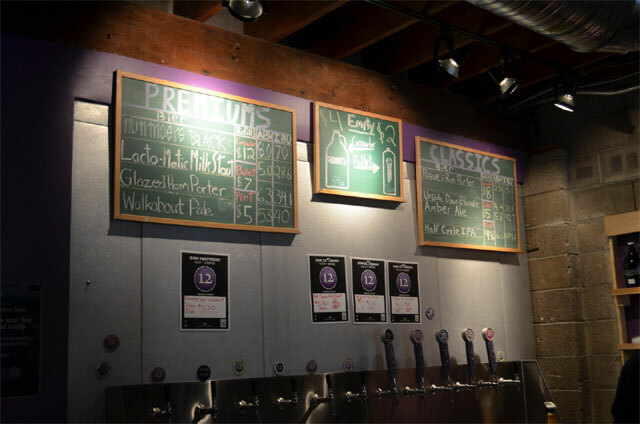 The tap room offers pint sales in addition to growler sales. 21+ only. Five taps, a nice bottle selection, and a friendly, whip-smart bartender who makes outstanding vintage cocktails--what more could you ask for? Imbibe has a chill atmosphere and is the perfect place to kick off the night or to visit for a nightcap. Bartender Brian Jones will set you up nicely. 21+ only. In addition to offering hearty Mexican fare, La Margarita has six craft taps and an exceptional bottle selection. Indeed, proprietor Jon Carlos Rangel likes to stock off-the-beaten-path craft beers. La Margarita also has a well-rounded selection of premium tequilas. Looking for something other than beer? Head to New Day's beautiful tasting room at the corner of Shelby and Prospect to try their mead (honey wine), cider, or both. The meads range from dry to sweet, so there's something at New Day to suit most palates. Try a Hoosier Beer Geek favorite: Breakfast Magpie, a delicious mead made with a hefty dose of raspberries and coffee. Radio Radio has become an institution in Indianapolis' local music scene. Run by Tufty Clough, bassist for local punk legends Zero Boys, Radio Radio hosts both local and national acts. And the club is no dive either, being one of the nicer places in the city to see live music among an eclectic crowd. The club normally has at least two craft selections on tap, usually local. 21+ only. The Red Lion is Fountain Square's very own taste of the British Isles. Footy on the telly, fish and chips on the menu, and at least half of their 10 taps carrying craft beer, Red Lion is always a popular neighborhood destination. Check out trivia night on Tuesdays and Thursdays. The interior of this popular cantina looks like it was decorated by a group of nuns and luchadores after they'd ingested peyote. Out back of the establishment, a Polynesian atmosphere rules the day as the outdoor patio serves as the neighborhood's tiki bar. Revolucion's menu focuses on tacos, with a few other familiar Tex-Mex items (such as nachos) sprinkled in. The cafe has 10 taps, mostly craft, plus a selection of standard Mexican beers in the bottle or can and the house lager (which is Coors) on draft. And yes, margaritas too. 21+ only. We have to confess--Santorini Greek Kitchen isn't a craft beer mecca. 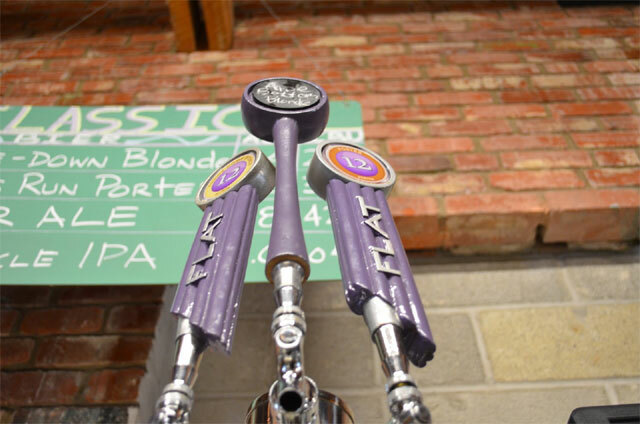 The restaurant carries only Sun King Brewing Company's flagship beers--Osiris Pale Ale, Wee Mac Scottish Ale, and Sunlight Cream Ale--and of those, only Sunlight Cream Ale is on tap. But even if the craft beer selection is limited, Santorini is worth visiting because it's one of the best Greek restaurants in the city. Order a combination plate and you'll be greeted with a massive platter of delicious Greek favorites that at least two people can share. Reservations are highly recommended, especially on weekends. Lovers of Thai food won't be disappointed by Siam Square. The glowing orange and yellow hues adorning the restaurant's interior will make you feel like you're being greeted by a warm Siamese sunrise. To accompany your dish of delicious pad thai, order a local beer on draft. Clowns who run a bingo game? Yeah, we thought it sounded lame too. But then we went and played and were hooked. That's because these aren't your run-of-the-mill creepy circus clowns. They're the Muncie Brothers, Dorgan and Milroy, and they run a bimonthly bingo game at the White Rabbit Cabaret called "The Burlesque Bingo Bango Show." They drink. Milroy mimes. Dorgan curses. If you win, they offer awesome prizes like a three wolves statue. And they are assisted by the lovely burlesque dancer Alabaster Betty. 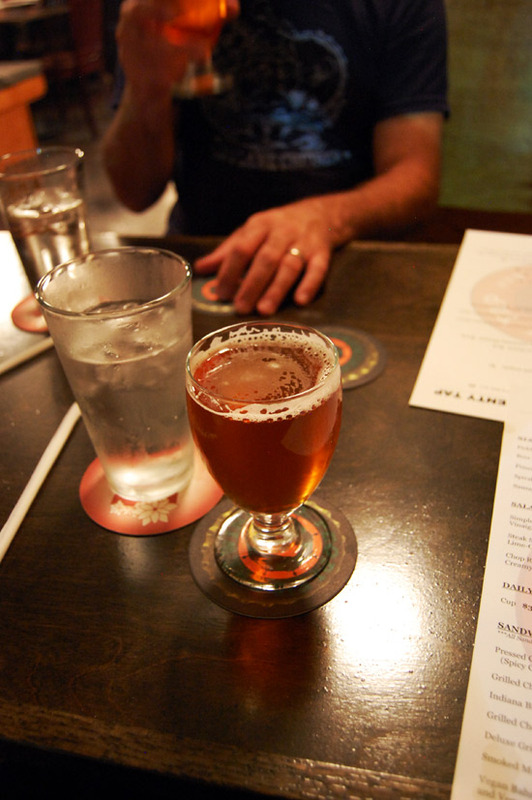 A killer beer list and frequent local music shows don't hurt the White Rabbit's allure either. Changed your mind yet? 21+ only. To round off 2011, the Beer and Cheese Club bucks the trend of huge imperial beers that need to be rested for 6-12 months or more and takes a more friendly approach. This month's pairing is something that you can bring with you to your Christmas gatherings. 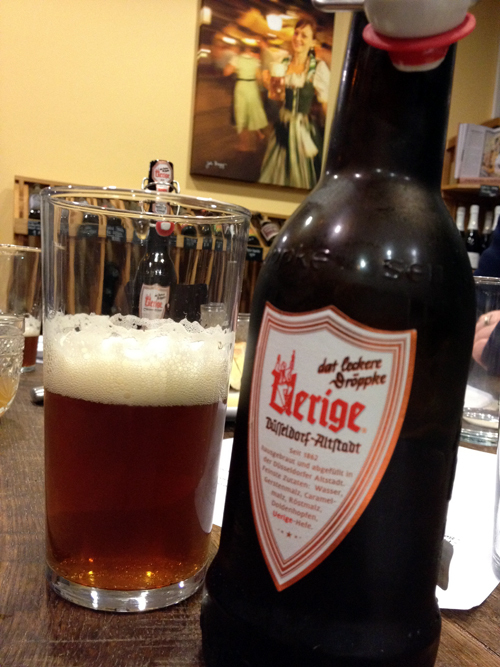 Uerige Altbier is one of the quintessential altbiers from Dusseldorf, a great traditional German style that might be foreign to inexperienced beer drinkers. Trugole is an Italian cheese, similar in both flavor and origin to Asiago and a cheese that's not too strong to ward off people unfamiliar with the style. 'Tis the season to share your love of beer and cheese with friends and family, and this month's pairing provides the perfect conversation starter. 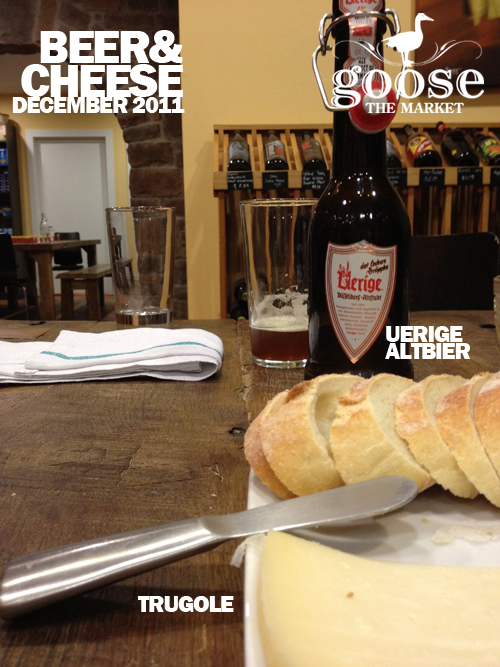 If you're a member of the Beer and Cheese Club at Goose the Market, your December installment is likely ready for you to pick up right now. If you're not a member, the club is $99 for 4 months. Beer and Cheese also makes a lot better gift than a simple beer of the month club, so don't forget to inquire about gift memberships! There is something most interesting with the cheese here. As I let the cheese coat the top of my tongue, it made my tongue feel like it was burnt. The sensation didn't linger, and the cheese didn't actually burn my tongue, of course, but the sensation held something remarkably similar. The lightly-spiced fruitiness in the cheese paired well with those same aromas in the altbier. There was also something earthy to the beer, grassy, perhaps. Thanks GtM for another great pairing! Uerige alt - sweet pear cereal nose, but the beer goes u-turn on that nose when tasting. Not much on front, works sides of the tongue w/ a peppery and slightly sweet bite throughout. 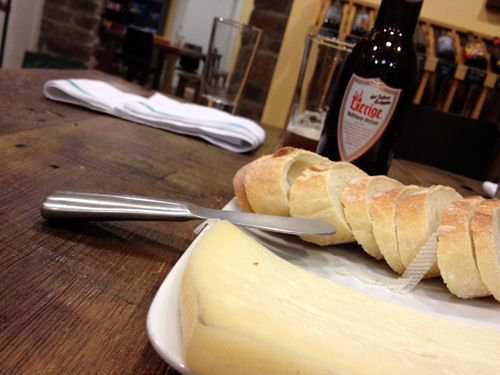 Cheese is immediately agreeable, tart and biting, working the part of the tongue ignored by the beer. Creamy! I personally was expecting a huge beer that would need an even bigger cheese to stand up to it for the Christmas season. One could say that I was both surprised and confused when I found a bottle of Uerige Altbier sitting on the table. Uerige is one of my favorite Alts, as it carries with it 150 years of tradition. Many regions of Germany are known for a specific style of beer, and Alt is Dusseldorf's beer. Alt is not a strong beer; it carries with it a refreshing suite of malt flavors. As with many German beers, the complexity of Alt lies within its simplicity. Much of the flavor is derived entirely from the choice of malts, imparting nutty, sweet and slightly roasted flavors with a delicate balance of dryness at the finish. This beer is great for both summer and winter and is very flexible when it comes to food pairings. 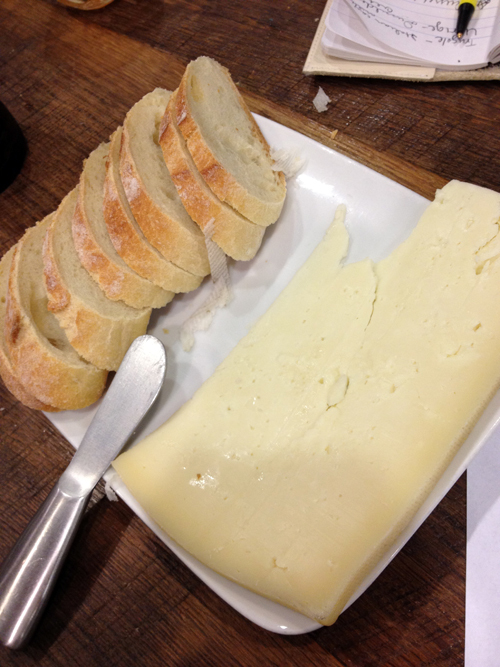 The Trugole cheese is from the Asiago valley and is only aged for 2-3 months. It is a sweet, creamy and slightly grassy cheese with nutty notes in the background. With a beer like an Altbier, it would be very easy for a cheese to overpower it. Instead, this month's pairing aims for balance. 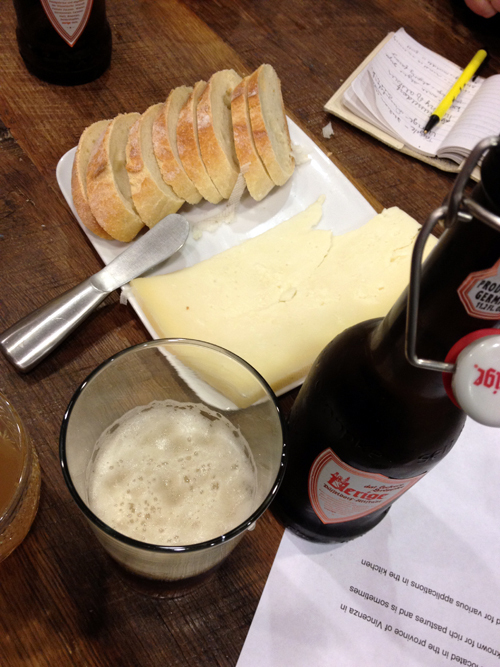 The beer and cheese are both very complimentary, and the flavors of both stand out throughout the pairing. In many pairings, the flavors change and evolve, building off of each other, but with the pairing of Altbier and Trugole, the two live in harmony. This works great as a holiday snack. Don't Drink that Beer, Put it in Storage!